The latest iteration of our Martian Medical Analogue Research Simulation course went extremely well. Our crew seemed to enjoy the simulations and clearly learned a lot about aerospace medicine, the Martian environment and operational procedures throughout the course. We continue to be grateful to the Mars Society for the opportunity to use this facility and all the resources it offers in our educational efforts. The major challenged we encountered were difficulty with the power system which we were able to manage manually by switching to generator power when the charge dropped below a useful amount and the last minute notification of the news crew joining us for filming. 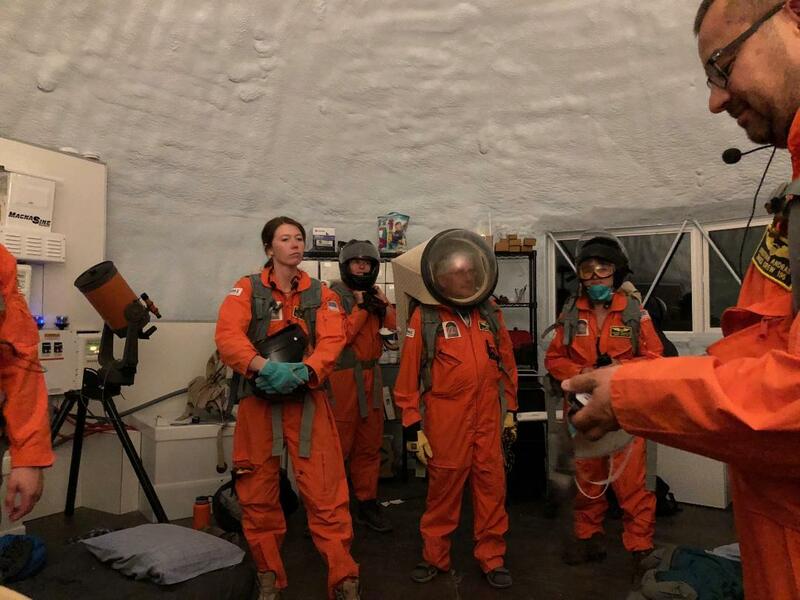 The news crew was very much a surprise and we would have appreciated a heads up about their arrival so we could prepare and perhaps plan around them but in the end it turned out well and I believe their footage will portray the MDRS and our crew in a positive light. This was also the second year we’ve incorporated research activities into our educational plan. The crew was very receptive to this as were outside parties and we are looking forward to expanding this work in future missions. Our research is primarily focused on habitability, rapid iterative design, and feedback from task saturated personnel. We hope to present this research at future meetings and continue to solicit more projects that can benefit from our unique population of medical professionals. Our projects for this year included an app based audio/video/text capable feedback system, a medical data architecture simulation for deep space flight, and a scenario based rapid iterative design proof of concept that we hope to develop further in the future.